Joseph Del Principe Jr (son of Giuseppe Florian Del Principe) was born in Chicago in the 1940’s. Joe lost his father when he was a young man. He has often told me that his father was a very compassionate person. Joe speaks fondly of his father and of all the Del Principe uncles and their families. 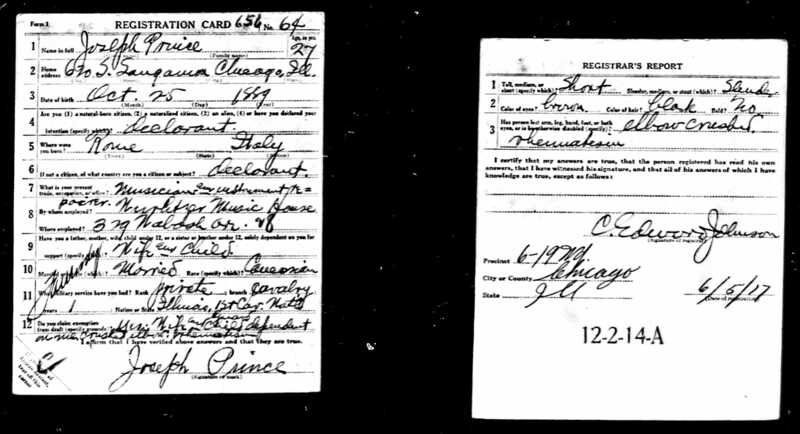 Below is an image of the registration card for Joe’s father, Giuseppe who served in the cavalry. It’s dated June 5, 1917. Click on the image to enlarge it. You can read more about Giuseppe’s service by clicking here. 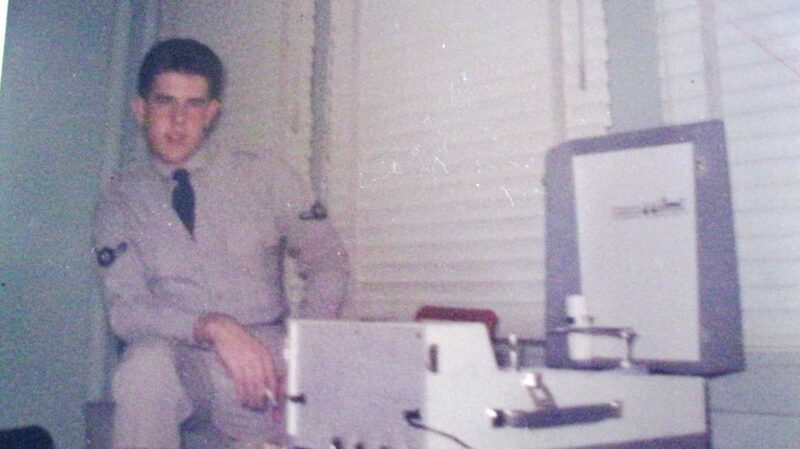 Below are some memories that Joe shared with me recently about his time spent at Keesler Air Force Base. Actually Keesler is a training base, and was mostly administrative in nature. President Kennedy issued orders that if things were to get worse, they would ship us into the interior of the state, and bring in personnel more geared up for combat. This was my first permanent party assignment, and is where I started learning about the field of accounting and supply distribution management. I was amazed that I was given that assignment as I was the only high school dropout in my group going through basic and tech school training. That undoubtedly started me on a totally different path in my life, as I passed my GED exams there, and then went on to take college level courses. It was the same year that the USAF quit inducting individuals with less than a high school diploma. I had a fantastic record collection as a result of my dad owning a record store, and I had my collection shipped down to the base. My dorm room became one of the most popular rooms in our unit. It took on the same feeling as being back home singing all of the great songs of the 50’s and early 60’s out on the street corner with the guys from the neighborhood.